Has your organization been struggling to attract and retain quality employees for the past few years? 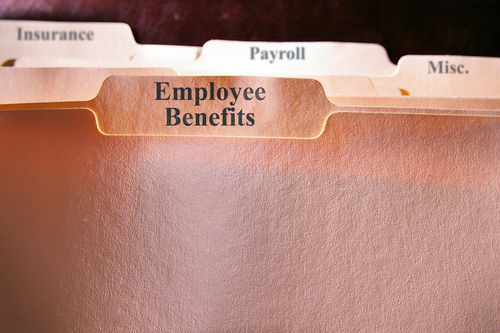 Do you understand the immense value of employee benefit offerings? When it comes to finding and keeping top-tier talent, there are many benefits of offering employee benefits. Many people believe that a company is only as strong as its’ weakest link and, if you believe this, attracting top talent becomes an even greater priority. Skilled and dedicated workers will help you create a solid foundation that your business can stand on for years to come. Bringing these individuals on board, however, requires at least a few tangible benefit offerings. While salaries for top talent don’t fluctuate much between companies in the same industry, your benefit offerings give you a chance to set your company apart from the competition. When you’re trying to attract top-tier talent, offering flexible benefits can go a long way to help you seal the deal. Once you have top talent in the door, it can be easy to forget about keeping them their. Failing to deliver the benefits you’ve promised is an easy way to lose top-tier talent to your competitors, but following through ultimately helps to keep your talented employees happy, which ultimately reduces employee turnover. Employee morale can fluctuate greatly depending on a number of factors, some of which can be out of your control. You do, however, have control of the benefits package you offer. Understanding the needs of your work force and making diligent efforts to meet those needs through a comprehensive, but flexible, benefits package will help you keep your employees happy and productive. This goes hand in hand with improved morale. Happy employees are healthier employees, but offering comprehensive health and dental coverage, as well as having a solid plan for offering sick leave, will help you keep your employees healthy and minimize lost work time. Sick leave is vital, as it reduces the likelihood of a contagious individual coming into work and compounding the issue by transmitting their contagions to other employees. Offering comprehensive benefits ultimately gives your employees a better reason to care about your company. If you wish for your employees to remain loyal, they must care about your company’s success. When employees have a vested interest in your company they are much more likely to work harder or go above and beyond to deliver an outstanding product or service. At Health Risk, we want to work with you to understand your employees’ needs and design benefit solutions that help you keep your workers happy and productive. Please don’t hesitate to give us a call at 1-403-236-9430 to discuss your benefit needs today!